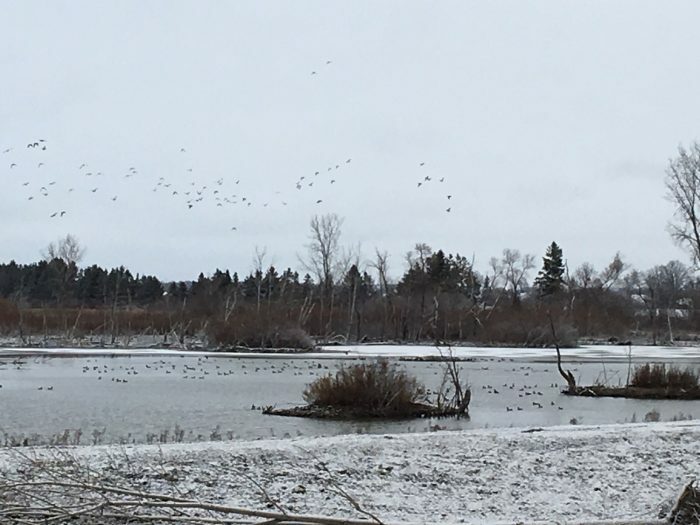 In the heart of Elgin County farm country, north of Lake Erie, the Aylmer Wildlife Management Area (WMA) attracts birds and birders by the thousands. It’s a drastic change from the pavement and buildings that used to cover this landscape. The site was a World War II airfield, RCAF Station Aylmer. There, pilots participated in the British Commonwealth Air Training Plan. In the 1960s, the Province of Ontario purchased the 338-acre (137-hectare) property. Wildlife habitat was created to replace the infrastructure, which now includes wetlands, tallgrass prairie and native plants. The man-made habitat at Aylmer WMA is effective. 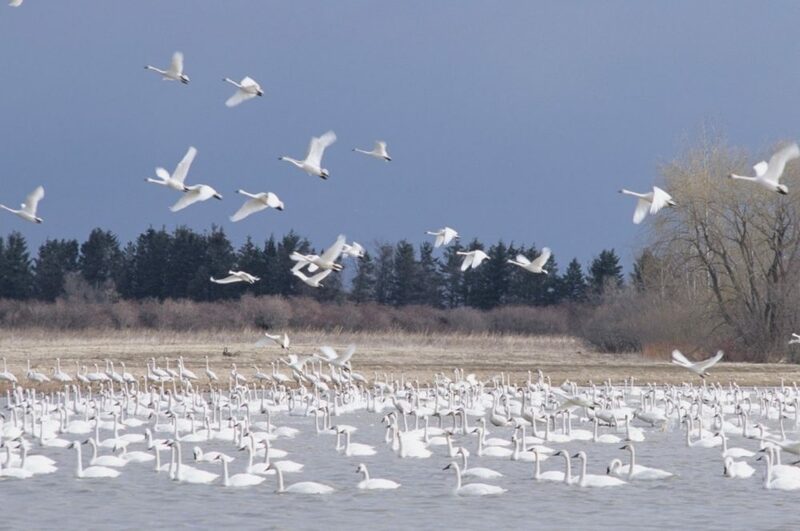 It’s a known stop-over during the tundra swan migration, as the birds travel north to the Canadian Arctic and Alaska. In spring, up to 60,000 swans have been observed at the site. Aylmer WMA’s pond complex is designated as a provincially significant wetland. And the WMA is recognized as an Important Bird Area. In 2018, the habitat underwent a second evolution. 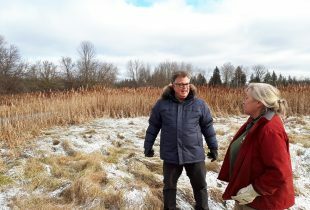 The rejuvenated wetland, known as Tundra Pond, is expected to show improved plant growth and a greater variety in plant species—which will attract and feed local and migrating wildlife. The new wetlands, designed by DUC and overseen by ESC, will provide spring breeding habitat for waterfowl and shorebirds. Habitat improvements and maintenance are managed through a partnership that includes DUC, the Ministry of Natural Resources and the Elgin Stewardship Council (ESC). What’s good for the birds is good for Lake Erie, too. The Aylmer WMA wetlands are designed to capture and filter surface water before it flows to the Great Lake. 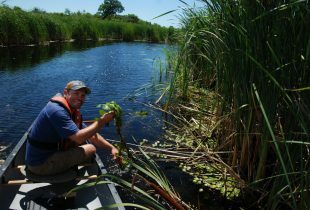 This restoration project is part of a larger effort to improve water quality in the Lake Erie watershed. Since 2017, DUC and its partners have delivered more than 100 projects under the Lake Erie Watershed Wetland Initiative—to capture phosphorus and other nutrients in wetlands that filter surface water before it travels downstream. The improved wetlands are just the start at this popular birding destination. Future plans include enhanced pollinator habitat and a new osprey nesting platform. In 2020, the smaller Heron Pond is also slated for a rebuild.